New Stereo and 5.1 mixes by Bruce Soord (Deliverance) and Steven Wilson (Damnation). Liner notes by Mikael Åkerfeldt and new art from designer Travis Smith. All presented in a stunning bookset. 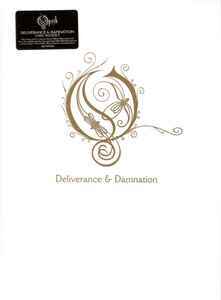 "Deliverance" and "Damnation" were recorded between the 22nd of July and the 4th of September 2002 at Nacksving Studios and at Studio Fredman, Gothenburg, Sweden. Additional vocals, lead guitars and keyboards for "Damnation" recorded at No Man's Land, Hemel Hempstead, UK. Skikkelig bra musikk. Unnskyld språkbruken, men noen ganger må kraftutrykkene fram.